iNames Review 2019: Is iNames a Good Hosting? iNames is a well-established host located in the Republic of Korea. Its plans come with premium price tags, but you can choose between SSD and HDD storage, and from a selection of operating systems. iNames was founded in 1998, and it provides domain registration and hosting services. It purportedly registers and manages over 20% of the 130 million domains in Korea. The iNames website is available only in Korean. iNames offers quite a few different shared hosting options. First, it allows you to choose between SSD (faster and more expensive) and HDD (cheaper and slower) storage plans. Second, you can choose between Linux plans, Windows plans, and Windows .NET plans. This gives you a plethora of programming options with HTML/PHP, HTML/ASP, or HTML/ASP.NET. If you want the far faster PHP version 7 rather than the slower version 5, you’ll have to upgrade to the SSD plans that have a higher monthly price. Although there is apparently no support for advanced programming languages like Ruby or Python, you do get the usual features such as MySQL, FTP, SFTP, and the less common SSH access (upon request and with a fixed IP). The hosting plans come with a free Smart Builder website building tool, so new website owners can easily get started with no coding experience. Alternatively, for an added cost (of course), you can ask iNames to design and develop your website for you. iNames’ hosting plans are expensive compared to international competitors, but that’s not unusual for South Korean hosting companies. There’s no setup fee, and you get a free domain name with annual plans, but SSL certificates always cost extra. You can purchase the plans on terms ranging from six months to three years, with a discount ranging from 10% to 40% dependent on the length of the term. Plans can be customized at extra cost by adding disk space, email accounts, and traffic. It’s surprisingly difficult to find the contact details for this company, which is a bit counterintuitive, but after doing some digging, I discovered email and phone support as well as remote support with TeamViewer. I received no reply when I sent an email on a weekday morning. You need to log in to get one-to-one contact, or you can support yourself by referring to the substantial FAQs. As one of the leading Republic of Korea providers, iNames has a grand vision to build infrastructure for the Korean Internet. It has a good range of hosting options to suit all kinds of website owners, but you can expect to pay a premium for the plans. 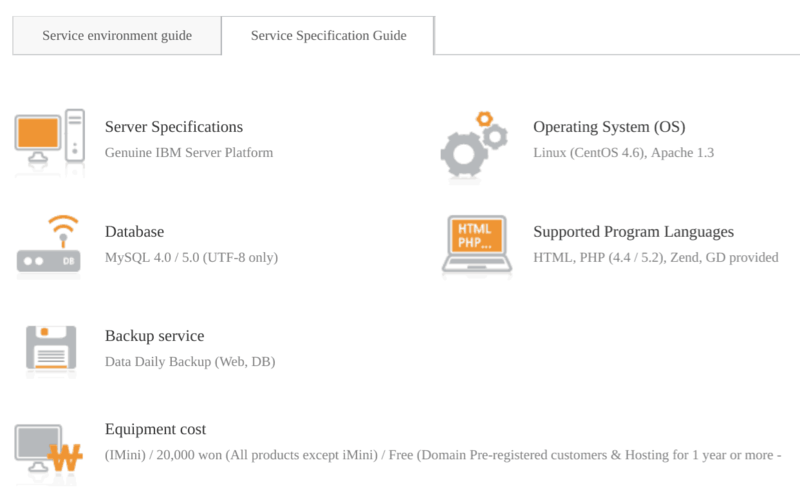 Wondering how iNames stacks up against other Web Hosting companies? Enter any other Web Hosting company and we will give you a side-by-side comparison.